Snow leopards (Panthera uncia) may be quite resilient to the direct impacts of climate change in the near term: they are able to tolerate a wide range of temperatures, they have minimal freshwater requirements and they have a high dispersal ability. However, the snow leopard’s small population size coupled with significant knowledge gaps about the species make this big cat potentially vulnerable to a changing climate. Additionally, snow leopards are susceptible to the indirect impacts of climate change. 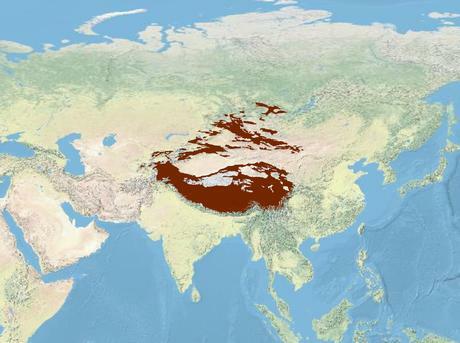 The effects of climate stressors on humans, and subsequent changes in livelihoods, may exacerbate the ongoing human impacts on snow leopards, including poaching and habitat encroachment. Climate effects on snow leopard prey may also have a negative impact. Priorities for climate-informed snow leopard conservation should include ensuring access to a secure prey base; gaining a better understanding of snow leopard biology, particularly regarding genetics and disease; creating conditions for human populations in the snow leopard’s range to better adapt to the impacts of climate change; and continuing to focus on reducing current threats, such as poaching, retaliatory killings and habitat degradation.